Sometimes the cartoons of the past seem to be predicting what will happen in the future. Just take for example where The Simpsons predicted Trump winning the presidency and more as well as Johnny Bravo with the 9/11 attack. Coincidence or not, these are still unknown. These moments leads to the topic at hand. The Jetsons. 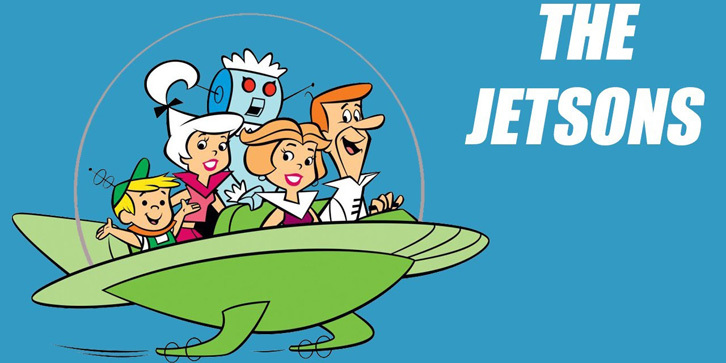 As we all know, in contrast to the Flintstones, The Jetsons are the counterpart family that lives in the future. Without further ado, here are some of the technologies from The Jetsons that actually exists right here, right now. Rosie is The Jetsons’ personal robot maid. She is the firm yet lovable housekeeper of the family and it is not impossible today that you can have your very own as well! Even though our robots still have a long way to reach Rosie’s level but we are getting there. Tired of carrying your phone and tech with your hand? Why not put it on your wrist like The Jetsons? Oh, it turns out that we have that now. Apple is just one of the companies that developed this futuristic tech which enables people to call, text, track fitness activities and more coming in the future. The futuristic family had a food replicator which makes it easy to churn out food from vegetables to pizzas with just a push of a button. We can also do that with our 3D printers. It has been printing dentures to car parts and food! This made way for the creation of delicious desserts. Who would have thought that its possible for people to be talking to each other face to face without being in the same room together? The Jetsons featured a videophone which lets them have a face to face conversation with other people. Now with the help of Skype, Messenger, and many more, you will be able to video call anyone from anywhere. Maybe the payphones will be payvideocalls in the future as well. Whether these cartoon ideas influenced the people who invented these technologies or not, we will never know. However, it is still really amazing that these cartoons from the past get to predict the technologies of the future. So what other technologies did you think The Jetsons have that we have now? Like this article? Head on over to us for more articles like this!